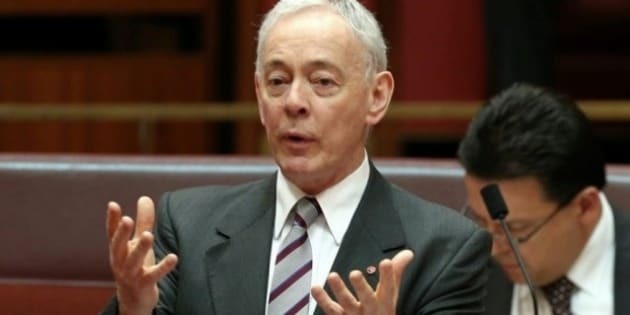 Family First senator Bob Day will challenge newly changed Senate voting laws in the High Court this week. The legislation makes it more difficult for micro-parties to get elected and passed the Senate after a marathon 28 hours of debate and filibustering. In a press conference in Adelaide on Saturday, Day said he would ask the High Court to declare the laws invalid. Day argued the reforms would limit the voice of the three million Australians who voted for minor parties and have a chilling effect on new political parties entering the arena. “How many pesky voters do they want to get rid of? There were three million people who voted for minor parties and independents at the last election," he said. Senator Day told the ABC his case would be argued on the basis the reforms disenfranchise voters. He said a High Court case about missing ballot papers from Western Australia in the last federal election went along similar lines. "Just 1,200 votes went missing and the High Court was sufficiently concerned about that to order a rerun because of the way it would impact the outcome of the election," he said. "What their attitude might be to three million votes exhausting or dying deliberately as a result of these laws is the question that needs to be asked." Special Minister of State Mathias Cormann has defended the reforms and said they comply with constitutional requirements. "We are very confident that the reforms passed by Parliament are consistent with all the relevant requirements in the Constitution," he said. "The whole purpose of the reforms is to empower voters to directly determine where their preferences go and hence who they ultimately end up helping to elect to the Senate. "Under the group voting ticket system, it was political parties, instead of the voter, who determined where those preferences went from there and who ultimately got elected. "Under our system the voter has control of what he or she wants to do with their vote all the way through and who they help elect to the Senate. In our opinion that is as it should be." Senator David Leyonhjelm took to Twitter to announce that the Liberal Democrats would share the costs of the High Court challenge with the Family First Party. “We’ve had a number of people willing to contribute towards the initial lodging of the case,” Day said on Saturday.